Remaining relevant as an educator in the 21st century is a concept of much debate at this time, especially with regard to the emergent web 2.0/3.0 technologies that are chipping away at the “brick & mortar” foundations of our traditional institutions of learning. 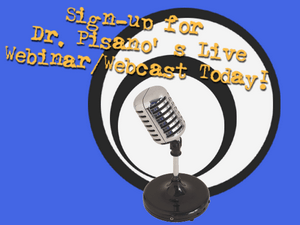 Please join me as I discuss this and related topics at my upcoming and FREE webinar. A brief discussion on how Music Educators are finally starting to grab the concept of Digital Mentorship and Online Collaboration. This session will also focus on the impact of the Twitter Music Education Chats being held every Monday Night and how you can participate. This event will be the perfect primer to invite your music colleagues to so that they can begin to learn about these relatively “new-born” concepts. I will be discussing in some detail the history of “how we got to this point” in digital mentorship/collaboration and my thoughts on how the concept of PLNs will CHANGE the face of how we do things as Music Educators over the next five years. In addition, I will be talking about current happenings and up-coming happenings in the world of our fledgling Music PLN(s). Finally, there will be a brief primer of the #musedchaton Twitter that will follow directly at the close of the seminar. This is the PERFECT time to get exposure to the power AND potential power of a PLN in a virtual environment with world-wide exposure. Soundtree is not only a pioneer in Music Technology, but a tremendous innovator of Music Educational Value through Technology. This year, SoundTree has started and is maintaining a great service to Musicians and Educators through their FREE “after school webinar” service. Withit, they are inviting top-name people and top-of-the-field educators to discuss both innovative products and timely educational issues.